Over time our teeth pick up stains from food and drinks such as coffee and red wine which dull and yellow the natural white colour of our teeth. 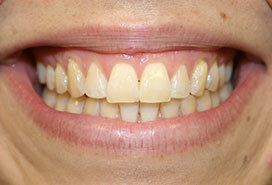 Smokers are particularly prone to the yellowing of their once bright, healthy smile. So why not refresh your smile with a healthy teeth whitening treatment at Gipsy Lane Dental? At Gipsy Lane Dental in Leicester we use the most effective techniques to give you that healthy white smile you are looking for. By lightening the colour of your teeth with our Professional Whitening System we can remove the darkened stains from your teeth, giving you a renewed, lighter and brighter smile! At your consultation we will discuss the shade of white which is right for you to give you the most natural looking, healthy smile to complement your complexion. WHY CHOOSE US FOR YOUR TEETH WHITENING? ​Powerful, professional-strength Opalescence take-home whitening gels are available at Gipsy Lane Dental. Opalescence take-home whitening gels can provide results after just one treatment, though you should expect to see noticeable results in about a week. ​Opalescence take-home whitening gel is delivered via a customized whitening tray that your dentist will create from an impression of your mouth. 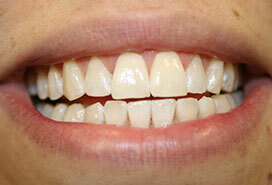 This customization is part of why Opalescence take-home whitening gels are so effective. What is Opalescence Teeth Whitening?